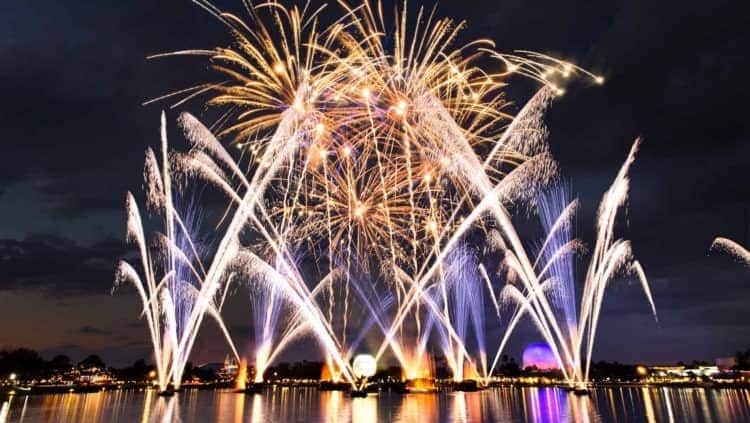 When the clock strikes 8:00pm and 9:00pm the fireworks in Disney’s Epcot and Magic Kingdom respectively commence. Disney World fireworks bring the sky to life and the music tells an intricately woven tale of magic and the beauty of earth. The fireworks can be seen from different vantage points in Disney but some of the best locations are found in their restaurants. Either being tucked away in a cozy booth with window views or high above the ground on a viewing platform there are many options to choose from. Leave the crowds behind and head to these top restaurants for magic. California Grill located on the 15th floor of Disney’s Contemporary Resort has sweeping views of Cinderella’s Castle, a perfect location for the fireworks display. 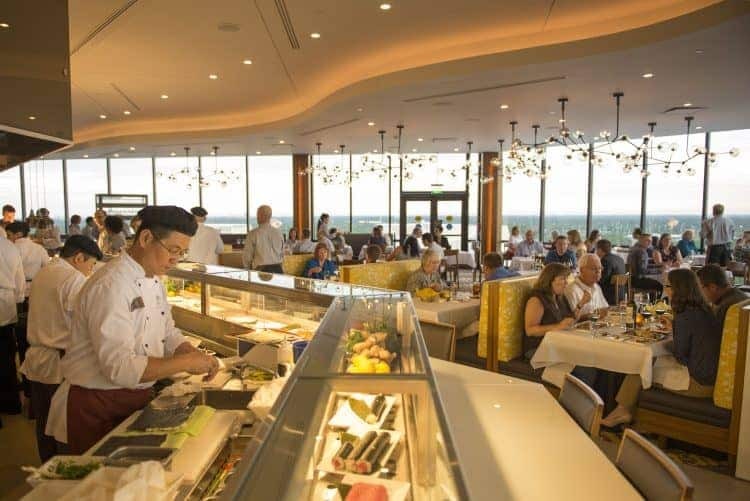 With large windows surrounding the restaurant you have a view of the display without ever having to leave your seat or for Instagram worthy photos make your way to the outdoor observation deck. The lights will dim and the music will be piped into the restaurant for this dreamlike experience. Tokyo Dining in Epcot’s World Showcase has prime viewing for Illuminations: Reflections of Earth on their balcony. Feel free to leave your meal and frozen Kirin to watch this spectacular! Illuminations takes place in three part history of our planet: Earth is Born, Triumph of Life and Hope for the Future. 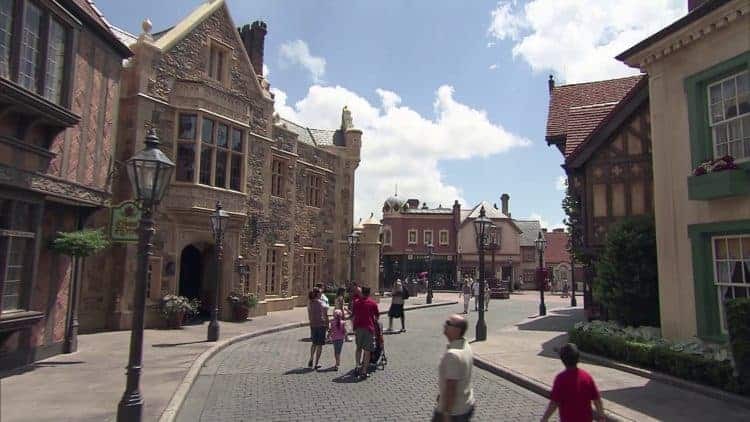 Head here soon as Illuminations will be ending in the second half of 2019 and replaced with a new experience. 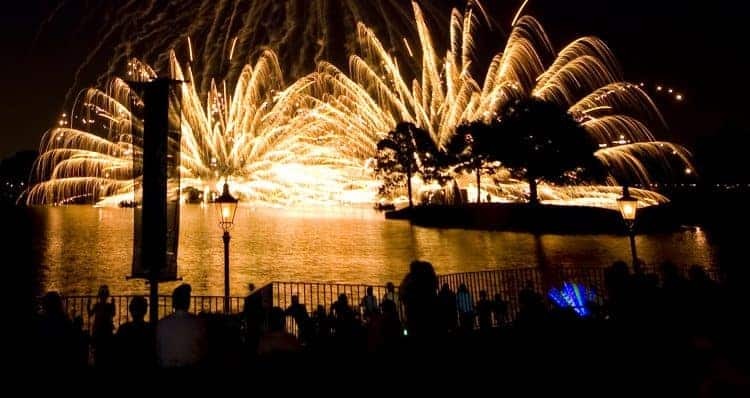 Make your way to Rose and Crown a full British pub in Epcot’s World Showcase for another prime spot for Illuminations: Reflections of Earth. Here you can enjoy waterfront seating but make sure to get there early as a table cannot be guaranteed and outside dining cannot be requested. 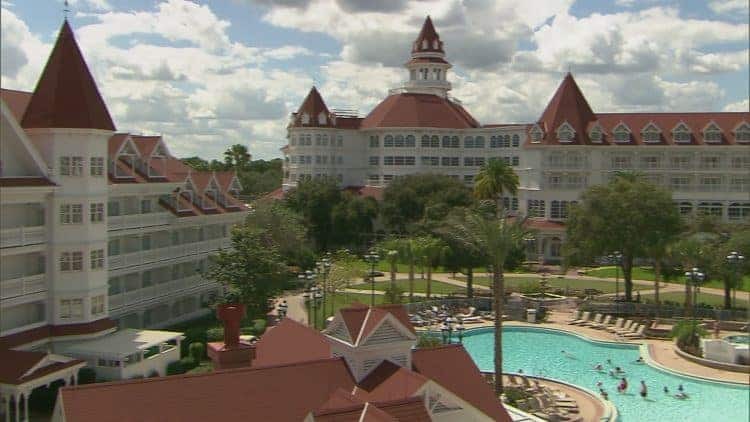 Narcoossee’s known for its coastal cuisine dining is situated in Disney’s Grand Floridian Resort & Spa. 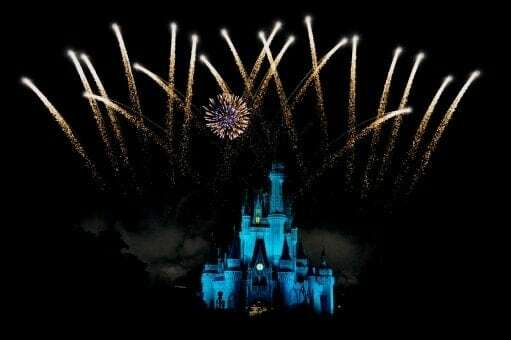 All seats have panoramic views of the Magic Kingdom Fireworks and an extra special Electrical Water Pageant. For a little more action head outside to the wrap around porch right on the Lagoon. Hop aboard a private yacht for a Specialty Cruise around Epcot’s World Showcase Lagoon for Illuminations or Seven Seas Lagoon and Bay Lake cruises for Magic Kingdom’s ‘Happily Ever After’ spectacular. The cost includes a captain, assorted snacks, desserts, and beverages and unobstructed views of the nighttime spectacular.